H1B regular application is taking 2 months to 1 year for approvals. H1B premium processing is getting approval within 1 to 15 days of filing. H1B Extension, Amendment, Transfer and consular processing times vary from 2 month to 1 year based on your USCIS service center. How long does H1B transfer take? 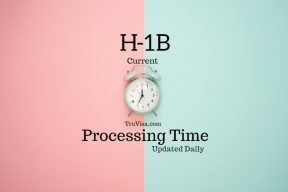 California Service center is slowest for H1B transfer while Vermont and Nebraska are faster in processing H1B extensions, transfers and Amendments. The best case H1B approval data is updated daily using the official USCIS processing times and data shared by real H1B applicants in various forums and trackers online. H1B amendment is same as H1B extension for processing timeline calculation. Premium processing is available for H1B Extension / Amendment / Transfer cases and its processing time is 15 calendar days. H1B regular vs premium processing can make the difference between how fast you see your approval. I always recommend to apply H1B in premium. Applying H1B in premium does not increase your chances of H1B RFE or denial. USCIS RFE review processing time is 60 days. It can take more time too depending on your case. If your ‘case receipt date’ is before the Raise SR date mentioned above, you should raise a service request with USCIS to check why your case has been delayed. This could mean your case is taking longer than other similar cases and may be stuck in administrative processing. The new H1B 2020 season applications will start processing in May 2019. You should look at the ‘H1B New‘ application processing time for new Lottery selected applications. Premium processing cases that are selected in lottery will get email on attorney email address about selection immediately with a receipt number. Premium processing fees will be refunded for un-selected cases. H1B April 2019 lottery Premium processing cases will get H1B approval by June 4th. If your are laid off by H1B employer, you have 60 days grace to find another H1B sponsor. Does not matter how much processing time an H1B transfer takes place, you can start working immediately based on receipt on or before 60th day. USCIS Case Pending – 240 day limit? You can keep working after 240 days of i94 expiry if your H1B has been filed as Amendment + Extension or transfer. If you case is pending for approval with USCIS and your 240 days after i94 expiry are fast approaching, we strongly recommend to upgrade your application to ‘Premium Processing’ at 200 day mark. This will help you get a result before your 240 day limit and avoid stopping work. H1b Specialty occupation is the number one reason for H1B RFE and then denial. Third party consulting companies have 20% higher rate of h1B rejection than direct client full time H1B jobs. Consular Proc = Visa (Stamp or visa foil) to be issued outside USA in a US Embassy. I got my Visa approval today for very short term till June 30,2019. In this scenario, my husband has once stamped his H4 last year and got expired his visa by Jan 04,2019. In order for him to travel here, does he need to stamp his H4 again from the scratch or just go to drop box. Note : He has not traveled to US anytime even if he had H4 visa and i have also not applied his extension when i did for mine for Jan 4, 2019. Could you please guide me what he needs to do to travel here. You question about H4 dropbox eligibilty has been added to our forum and answered there. December 18th 2018, Nebraska service center for H1B extension. When can I expect a decision on my application? Please use the dates given above to estimate your approval time. My H1B amendment is submitted on Dec 4th 2018 to Vermont Service Center. RFE is recieved on 26 Jan 2019. Response to RFE is sent on March 1st 2019. 1. When can i expect result for my RFE response? 2. My I797 and I94 are valid till 2020. Can i initiate H1 transfer thru another employer now? Do i need to wait for result on H1 amendment to file H1 transfer? You can file H1b transfer anytime. No need to wait for amendment result. October 26th 2018 Nebraska – Status still showing case received. your case is under normal processing window’ when tried to open a service request. Where do I go from here ? Are the dates reflecting on USCIS sites any indicators at all , as the current information shows processed till 5th dec 2019. You can wait for couple of days and then re-try. Same case.October 26th 2018 Nebraska – Status still showing case received. They are not allowing to open a service request also.How to proceed. We have seen that USCIS shows different dates on their portal than what is in their internal systems and hence, you are not allowed to raise the service request. My suggestion is to wait for couple of days and then re-try. Unfortunately, there is no other way to handle this situation that I know of. Thanks Anil.Today got info that case is approved. Great and congratulations. Thanks for sharing your case update. How long USCIS takes after opening Services Request ? They can take upto 30 days to respond. Hi Anil – I am lottery selected and got the receipt in April 2018. In november, I got RFE and we have submitted the RFE response on 1 feb. So we have got more than 60 days and still have not heard anything from USCIS. Even website is showing updates from Nov, where they issued RFE. It doesn;t even says any acknowldgement of RFE submission. For some of my collegues I can see there status getting updated on website and even for few of them, there case got approved within 30 days itself ( even after submitting RFE after me). So can you help me to know, is there anything to worry about. Also how much more time it could take approx. Its with CALIFORNIA SERVICE CENTER. There is nothing to worry until the case is denied. Some cases take more time than others. You can upgrade your application to premium and get result within 15 days. What was the RFE about? Do you know? It was related to proposed position. How much time it could take for processing, any idea from your experience. Your case had already taken an year. The approval should come now. Thanks Anil for taking time and responding to all my queries. Got one more question, if you can help with it too – My attorney who submitted the RFE says we need to wait for 60 days before we open Service request, after RFE submission. My RFE was submitted on 1 Feb 2019. SO does it count 60 days as calendar days or just working days. More information on RFE response review time. You are eligible to raise service request if your case receipt date is older than the Raise SR date mentioned above. Hi Anil – We have raised the service request for my case, as its taking more time. Now need your help, if you can – how can we track the status of raised service request/inquiry. I have the service request number. The USCIS service request status should also be shown in your case history. I checked it on website and there I don;t see anything apart from normal status as RFE issued. (No history there). Secondly, I checked on USCIS website, by creating account and checked the case history, but there is no update since May 2018. I am not aware of any other way than mentioned on the link that i shared earlier. I am in USA on H1B which is gonna max out by early 2020, now my question is if I go back to India now(before I max out here). Do you think my employer could file for a fresh H1B application for me or do we have a cool down period or something like that. You question about H1B cool off period has been added to our forum as it is out of scope of this page. I have answered it there and you can ask follow up question on forum itself. Hi Anil. I filed my extension by Nov 7 2018 , received RFE by December 31 2018 and RFE submitted date is March 12 2019 at Vermont center. Could you please let me know when can i expect my status. Thanks in advance. At this time, the RFE response is taking anywhere between 60-90 days. Hi Anil.. I filed my extension RFE in premium and got approval yesterday. How much time it takes to get I-797 original after approval. Is there any chance that i can get soft copy of I-797 before I receive original hard copy. I heard somewhere that attorney receives soft copy via email same day upon approval date. It will take around 7-21 days to get the official i797 copy. Attorney only receives the notification over email for approval in case of premium processing. Hi Anil, My H1B extension was filed on 26-Oct-2018 at Nebraska Center. I still see the status as case received. But according to USCIS site, processing time shows 05-Dec. When can I expect the result ? You should raise a service request with USCIS to ask for your case status. It should have been approved by now.